Place bread in a toaster and toast to your liking. Allow toast to cool slightly and then spread each piece of toast with two tablespoons of ricotta cheese. 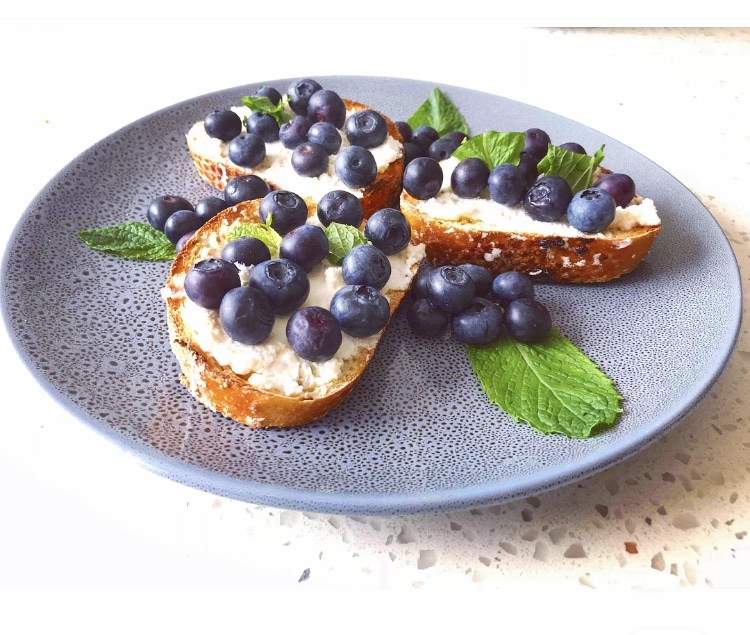 Top with about 12 blueberries (more if you like) and then drizzle honey on top and garnish with fresh mint leaves.